With a spectacular pool and lively nightlife nearby, the KN Columbus Aparthotel Tenerife, is a great choice for sun and fun seekers. The recently renovated hotel features modern apartments offering beautiful views of the Atlantic Ocean. Guests can choose from several board options – all-inclusive to self-catering to half-board. The hotel boasts a one of a kind a la carte pizzeria, which allows guests to create their own pizzas. The buffet restaurant here serves up delicious cuisine from around the world. 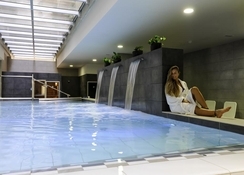 Some of the facilities offered by the hotel are a kid’s club, solarium terrace, KN Columbus Spa, a snack bar, a souvenir shop, a shisha bar, gym and meeting rooms. The lovely Playa de Troya beach is only a few minutes’ walk from the property. 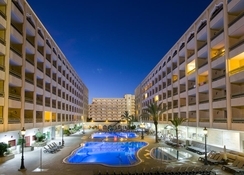 The KN Columbus Aparthotel Tenerife, located in Santa Cruz de Tenerife, enjoys close proximity to several tourist attractions. A great place to come if you like the party scene – don’t miss out on visiting Veronica Strip, just 10-minute walk, with its famous cabaret, karaoke bars and clubs. The theme parks of Siam Park and Aqualand Costa Adeje are both within 10 minutes’ drive from the hotel. The Tenerife South Airport is only 15.4km away from the hotel, making it convenient for the guests to board their flights on time. The KN Columbus Aparthotel Tenerife offers beautifully designed and spacious guestrooms. The rooms are categorised as – Apartments, Double Room with Lounge and Studios. All rooms comprise of a balcony and come fitted with a private bathroom, air conditioning, hairdryer, mini fridge, safe deposit, telephone, smoke detector, shower, free Wi-Fi and spectacular views of the ocean. The hotel has several dining options to choose from. It has a main buffet restaurant, a snack bar, Shisha Bar and a pizzeria. The main buffet restaurant serves buffet-style breakfast, lunch and dinner. The Snack Bar, next to the pool, serves guests from 10am to 11pm offering water, tea, coffee, chocolate, soft drinks, alcoholic drinks, cocktails and snacks. Savour your taste buds with the best Italian specialties at the pizzeria, which is right opposite the pool. Want to catch up on your favourite sport or team? Head on over to the Shisha bar which serves alcoholic and non-alcoholic beverages. The hotel offers abundant sport, entertainment and leisure facilities to keep its guests engaged during their stay. 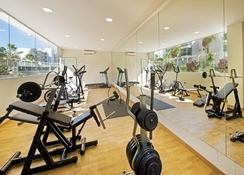 Guests who wish to stay active during the vacation can do so at the fully equipped gym featuring state of the art machines. Guests can also take a relaxing swim in the outdoor swimming pool and have refreshing drinks, while lying on one of the sun loungers sparkled across the pool. Hit the spa for the ultimate in relaxation and rejuvenation. You can choose from a variety of massages, therapies and beauty treatments, all provided by expert masseurs and beauticians. If you fancy a round of golf, there is a course just a few kilometres away. If you are a business traveller, then this is the right place to stay, as the hotel facilitates a meeting room, where you can conduct your professional or social events by inviting up to 75 guests. Other than this, you can leverage the hotel’s bicycle rental service, which will let you explore the area at your own pace. 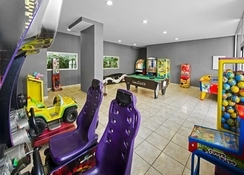 Children too can enjoy themselves at the playground and the kid’s club, where they can take part in activities organized by the hotel’s animators. 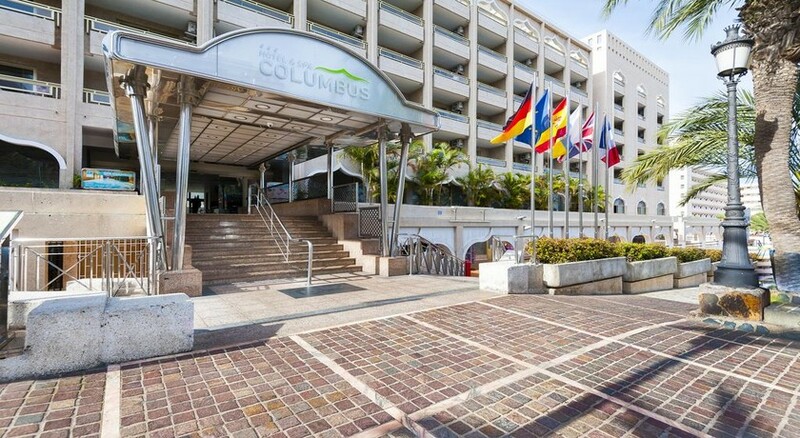 Stayed at the Columbus 6 times always a great welcome from reception staff on arrival rooms always clean maids came in everyday to clean do a great job aswell can't comment on the food as well always go self catering and we shall be returning probably May next year which will be our 7th time back here. Excellent stay self catering, close to restaurants, pubs and beach. Third time staying in the hotel. Didn’t use the pool area this time round as it’s very over crowded and loud. Great experience in a very nice hotel! Loved my stay here. Ideal location. Excellent Animations team. Clean rooms.